Finnebrogue Artisan Hans Sloane Chocolate & Fine Food Festival | Food NI - Our Food So Good! 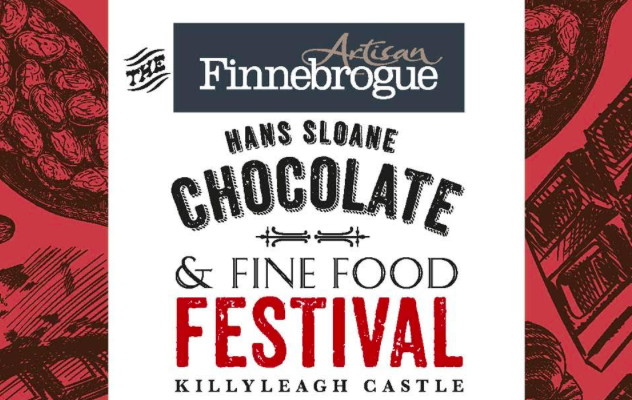 Thousands of chocolate lovers and foodies from across the island of Ireland and beyond are expected to descend again this year on the picturesque village of Killyleagh in County Down to celebrate the 2018 Finnebrogue Artisan Hans Sloane Chocolate & Fine Food Festival, 14th – 16th September. Sponsored by artisan producer Finnebrogue, based in nearby Downpatrick and famous for their outstanding quality wagyu beef, recently-launched Naked Bacon, and artisan sausages, this year’s festival will also continue to grow legacy of raising valuable funds for the Cancer Fund for Children, having already raised £61,000 for the charity over previous years. 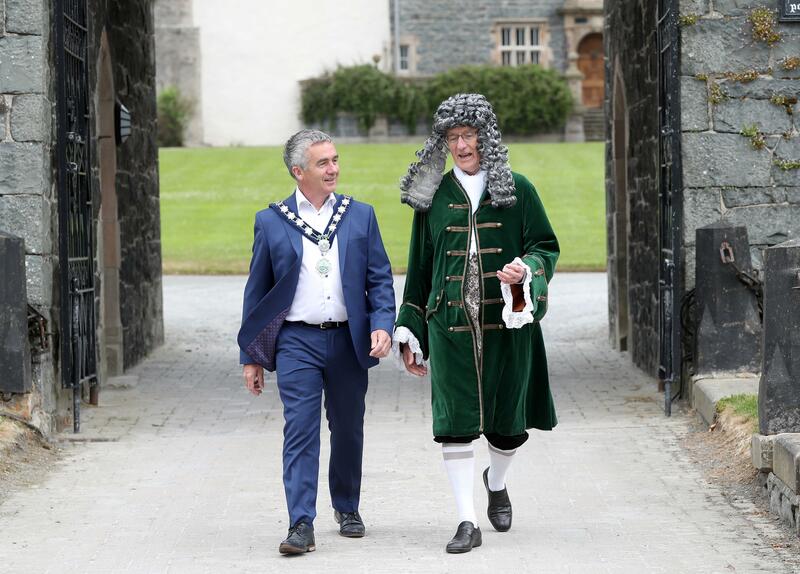 The festival was founded in 2010 to celebrate Killyleagh’s most famous son, Hans Sloane, who was born in the village in 1660 and later became one of the most famous men of his time, mainly because of his development of milk chocolate. 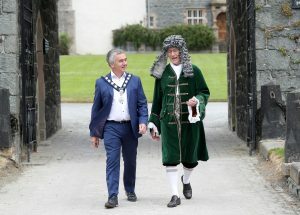 The biennial festival has grown in strength and popularity and is regarded as one of the principal events of its type across the UK and Ireland and a major highlight of the summer calendar for locals in Killyleagh and surrounding areas. “We are delighted to kick off our 5th festival season and as always are so pleased with the ongoing support we receive for Finnebrogue Artisan Hans Sloane Chocolate & Fine Food Festival,” said Meave Davison, festival committee member. 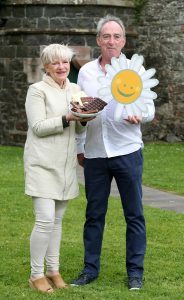 The festival will kick off on Friday 14th September with the Chocolate Ball which will take place in the exquisite grounds of Killyleagh Castle, one of Ireland’s longest-inhabited castles. Guests can expect a mouth-watering chocolate inspired menu prepared and designed by Chef Simon Dougan of Yellow Door and world-class entertainment following dinner, allowing guests to dance the night away in a stunning marquee against the backdrop of Killyleagh Castle. The Hans Sloane Chocolate & Fine Food Festival will continue on Saturday 15th & Sunday 16th September, where guests will be spoiled for choice with two days of family fun with activities and entertainment for all ages and a vast range of chocolatiers’ displays, market stalls and tasting and purchasing options for a memorable weekend of fun. The Finnebrogue Artisan Hans Sloane Chocolate & Fine Food Festival kindly acknowledges the assistance of Newry Mourne & Down district Council and Tourism Northern Ireland in the production of this year’s event as well as the support of sponsors Copeland Gin, Jeep, Oasis Travel, British Airways, and S.D. Bell’s. For further information on all events taking place and to book tickets visit hanssloane.com or follow the Killyleagh Chocolate Festival on Twitter @KillyleaghChoc, Instagram @killyleaghchocolatefestival or Facebook.com/KillyleaghChocFest. 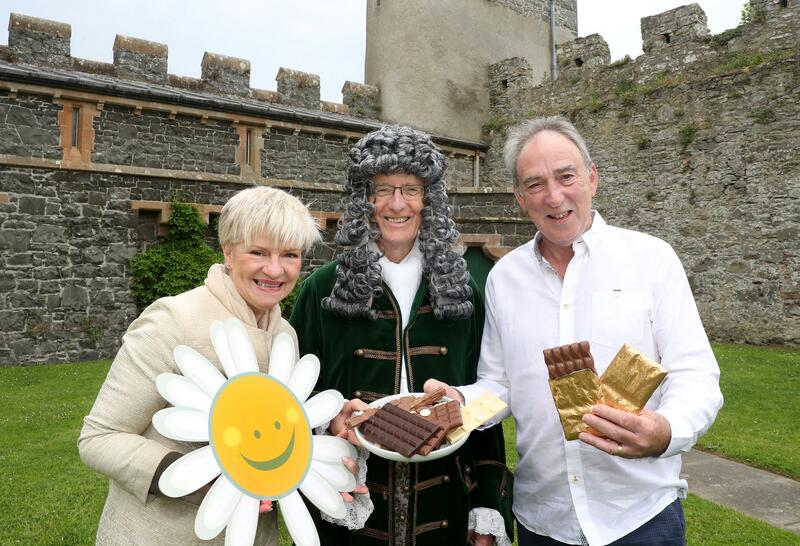 Chocolate & Fine Food Festival returns: An abundance of chocolate lovers and foodies will return to Co. Down village of Killyleagh, home to the late Sir Hans Sloane, to celebrate all things chocolate at this year’s Finnebrogue Artisan Hans Sloane Chocolate & Fine Food Festival. The festival will see artisan chocolatiers and food producers from across the country set up within the grounds of Killyleagh Castle ready to trade their local produce. This year’s event is supported by Finnebrogue Artisan, Newry, Mourne and Down District Council and Tourism Northern Ireland and will raise funds for Cancer Fund for Children.